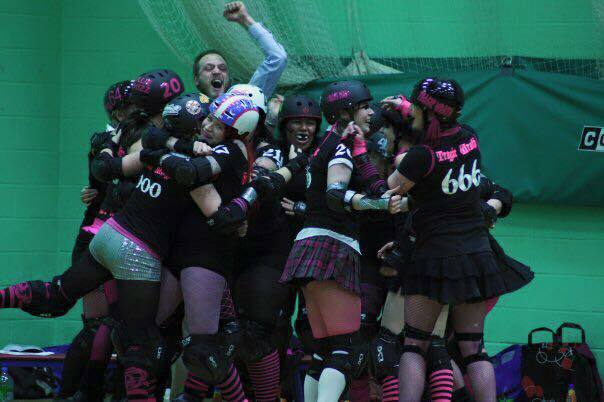 CCR’s 2013/14 season was epic in the truest sense of the word. A shift to our season dates meant that the season ran for 18 months bar a couple of week’s respite over Christmas. That’s 228 practices or 106, 704 hours on skates together. See what I mean? EPIC. This epicness in itself brings challenges. This many hours spent with the same 30 or so people. The inevitable burnout and fatigue. The natural peaks and troughs in performance at different points in the season, for different skaters. Life. The one outside of skating. Getting in the way as it often likes to do. A lot happens in 18 months in our wheel-less worlds. I was considering the highlights of the season, but my goldfish memory doesn’t even seem to take me back to the days of the early season. So I’m focusing my thoughts on more recent highlights. The first that springs to mind is the Skate Odyssey tournament, hosted in May 2014 in Gent, Belgium. We finished the tournament in 4th position having played several challenging games. The most prominent in my memory was a closely fought match-up against the tournament hosts Gent Go Go. It was one of those down-to-the-wire games, decided, literally, in the last minute. CCR had dug deep to claw out of a 50 point deficit to gain advantage in the last quarter of the game. With a long, heart-pounding, vein-popping minute to go we watched as Gent claimed back the lead that had been so dramatically chased by both teams in the 60 minutes. Gent ultimately took the points and went on to the final against Paris. Although we lost that game, the tournament did a lot for our team. Our second tournament abroad, and one in which learned a lot about team dynamics, mental game, maintaining focus and building tournament routines. Stuff we can most definitely take with us into our new season. Other things learnt in Belgium – Belgian waffles are pretty darn tasty and coach drivers are heroes (thank you to the coach driver who found my phone on a patch of grass and looked after it for me). Another highlight of the season was a little closer to home. Our season-closer against Kallio Rolling Rainbow in November 2014. Again, a game decided in the last jam (we like a bit of drama) and again, a game we lost to a narrow points differential. But that narrow score line was important for us against a team we found physically challenging. 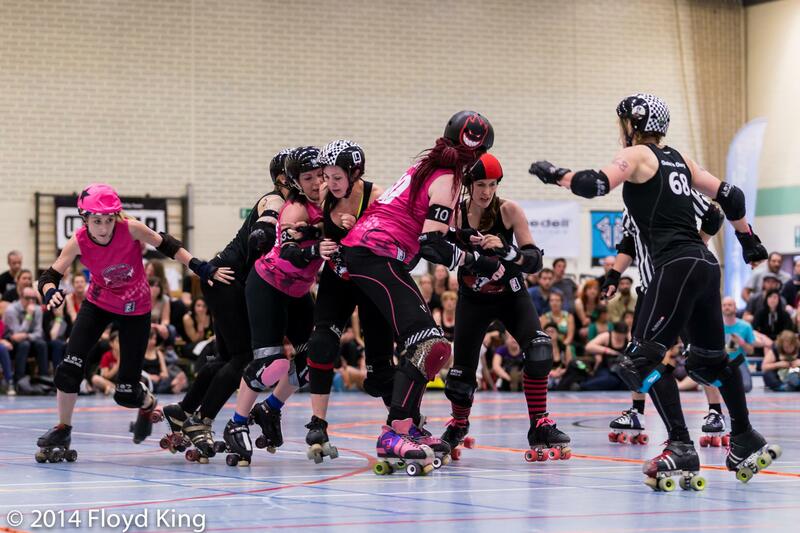 We’d previously faced Kallio at Skate Odyssey in a game to decide the 3rd/4th placed team. Kallio had taken a convincing 162 – 109 win on that occasion. The closer score this time round was a sign that we had achieved some of our team objectives, to build strong walls that could withstand hard hitters. Funny that the highlights for me were both games we lost. We know we fought hard for every point, and we left both games with a kit bag full of ideas for how to move forward. So, moving into our new, this time shorter (phew), season what do we have to look forward to? Well, there’s the not so small matter of the British Champs. Having been placed in the Premier Tier, we’ve got lots of challenging games ahead against the likes of Glasgow, ARRG, Middlesborough, Tiger Bay and Rainy City. There’s no doubt that these are going to be some of our toughest games to date. We have several trips planned across the channel and lots of visiting teams to host.With a very full calendar and some busy weekends ahead it’s more important than ever for us maintain our focus and teamwork. And the challenges? The biggest that comes to mind isn’t one on track, or about our opponents. It’s the sad departure of our long-time and much-respected coach Barry Fight. He’s been with CCR since it’s early inception – 7 years of hard work, dedication and bizarre outfits. Now he’s off to be awesome on 2 wheels instead of 8 as he pursues a developing sporting carer in cycling (he’s pretty darn good at it too). 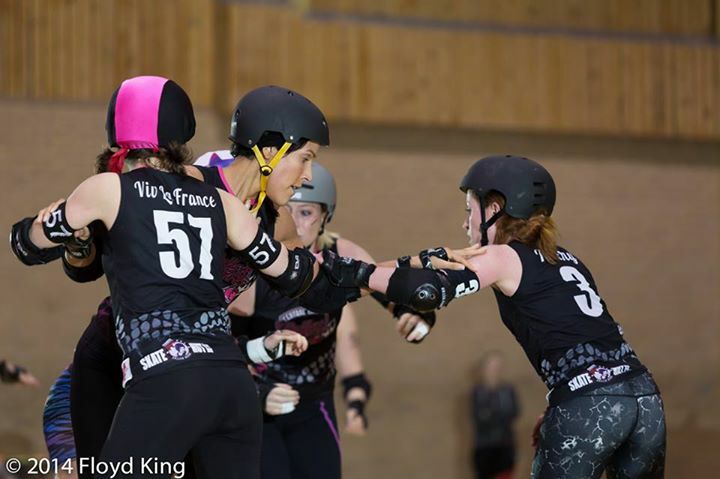 To fill his shoes we welcome 2 excellent coaches to our ranks IllBilly (of Southern Discomfort and Men’s Team England) and Super Nashwan (of the Crash Test Brummies). We’re looking forward to a new coaching structure and wish Barry all the best in his pursuit of awesomeness. I’m excited to take over captaincy of the A Team as we start a fresh season with fresh coaches and ideas. It’s all new for me, for our coaches and for the team. But we’re in it together.